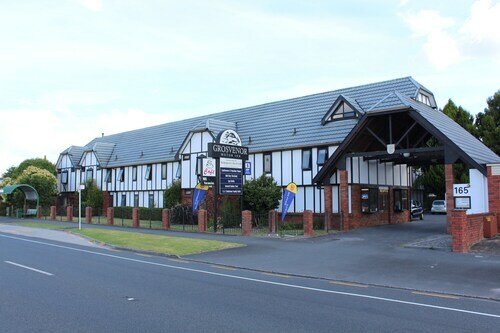 Located in the heart of Hamilton, this hotel is within a 15-minute walk of Waikato Museum of Art and History and SkyCity Hamilton. Hamilton Gardens is 1.9 mi (3.1 km) away. 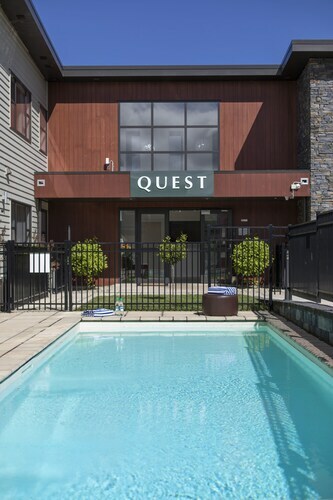 Situated in Hamilton, this apartment building is within 1 mi (2 km) of Waikato Stadium, Founders Theatre, and Seddon Park. Hobbiton Movie Set is 30.8 mi (49.6 km) away. 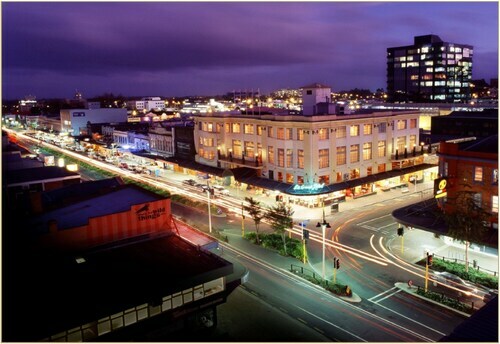 Situated in Hamilton, this hotel is within a 5-minute walk of Hamilton Central Business District and SkyCity Hamilton. Hamilton Gardens is 2.3 mi (3.7 km) away. 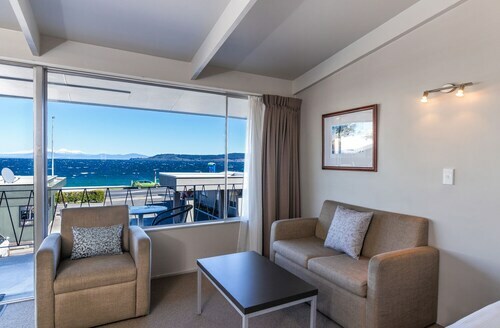 Situated near the boardwalk, this motel is within 2 mi (3 km) of Lake Taupo, Waipahihi Botanical Gardens, and Taupo Hot Springs. Taupo Museum and Art Gallery and Barbary are also within 3 mi (5 km). 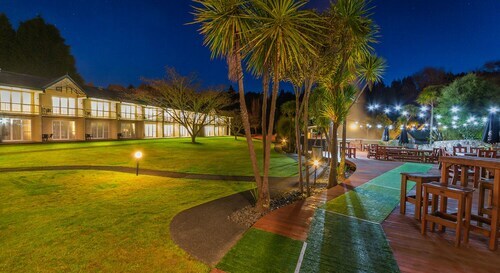 Located in the heart of Taupo, this motel is within 1 mi (2 km) of Taupo i-SITE Visitor Information Centre and Lake Taupo. Taupo Museum and Art Gallery and Barbary are also within 1 mi (2 km). 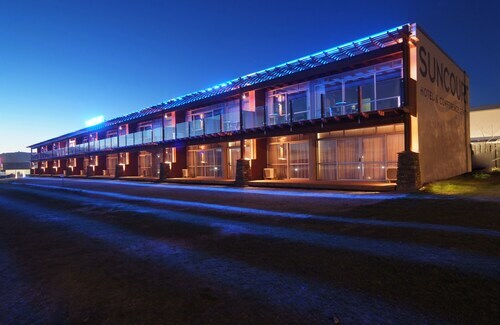 Situated near the airport, this eco-friendly hotel is within 1 mi (2 km) of Taupo Museum and Art Gallery and Lake Taupo. 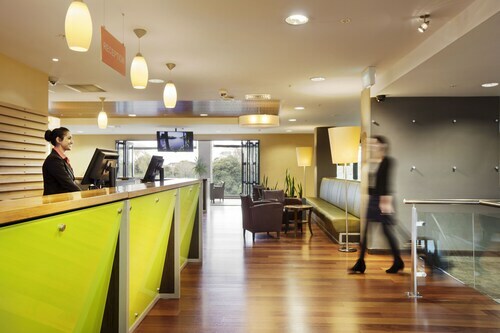 Taupo i-SITE Visitor Information Centre and Barbary are also within 15 minutes. 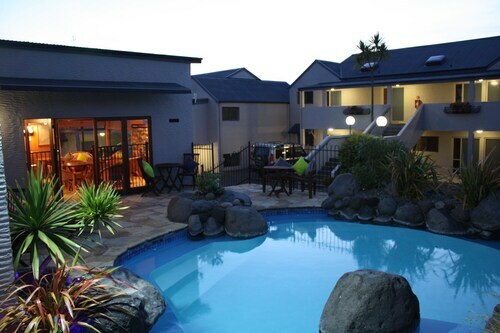 Our wide range of Waikato hotel accommodation places you in the heart of a landscape of spectacular diversity. The lush green plains that most of the region is built upon have provided a pastoral haven with kind temperatures, fertile soils, and reliable weather. Our Waikato hotels are also close by some spectacular scenery below the surface. The Waitomo Caves were formed over 30 million years ago, and the underground streams that run through them have been slowly shaping and smoothing the limestone walls since. Stay in our Waitomo accommodation and explore the vast cave systems, huge sink holes and the miracles that have been wrought with water and limestone. The natural beauty of stalactites and stalagmites lit by the blue light of glow worms has to be seen to be believed. The dramatic beauty of the mighty Waikato River travels 425 kilometres through the region and is the longest river in New Zealand. The river is an important part of the agricultural industry in the region, as well as its farming uses the river provides plenty of recreational opportunities during your stay in a Waitomo hotel and the river drives eight hydro dams. The thriving city of Hamilton is the centre of the Waikato region and an important destination while staying in one of our Waitamo hotels. The serpentine splendour of the Waikato River is maximised here at every opportunity. You can discover parks, gardens and river walks where the forethought of the town planners is plain to see. Hamilton is a youthful town and there is always plenty to see and do with plenty of cafes, restaurants and entertainment in the city. 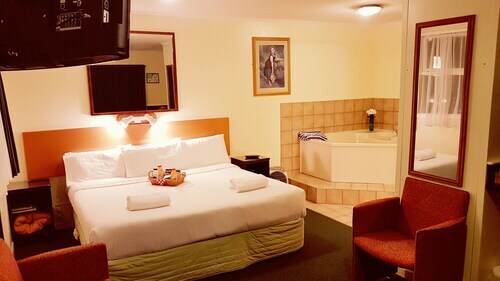 It is also home to Waikato Stadium, where you can watch a Test Match, or support the regions local Super 14 team, the mighty Waikato Chiefs, we have hotels near Waikato Stadium so you don’t have to waste time and money travelling to and from the game. 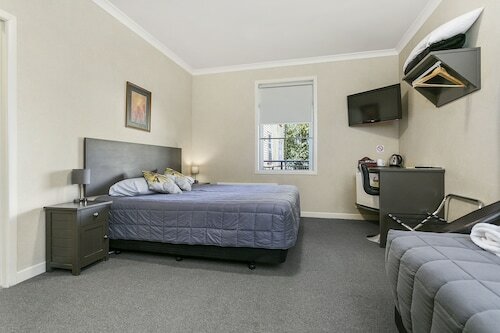 How Much is a Hotel Room in Waikato? 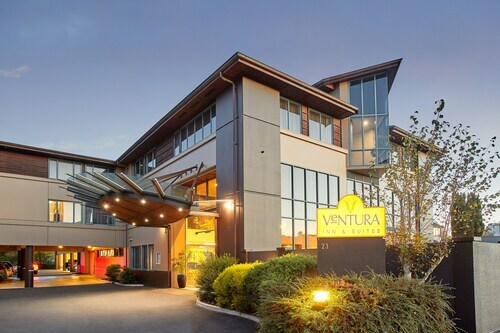 Hotels in Waikato start at NZ$75 per night. Prices and availability subject to change. Additional terms may apply. Clean and well presented. Central. Inexpensive. Communal kitchen great social idea.